Postmenopausal women with normal body mass index but higher body fat levels at the same time may be at an increased risk of breast cancer as per a new research. 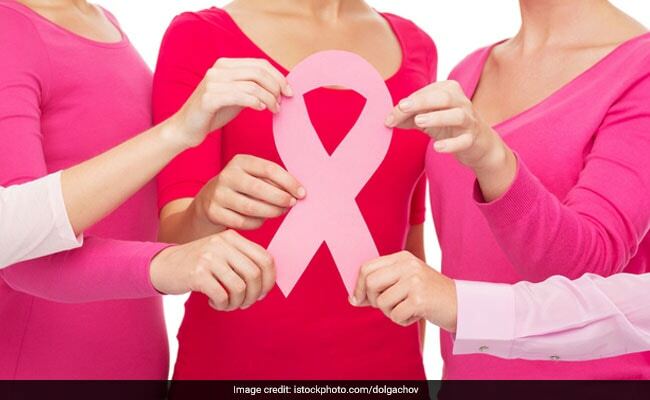 Postmenopausal women with normal body mass index but higher body fat levels at the same time may be at an increased risk of breast cancer as per a new research. BMI is the ratio of weight to height, but it is not an exact way to determine whole body fat levels, as muscle mass and bone density cannot be distinguished from fat mass. The research found that the risk of breast cancer increased by 35 percent for each five kilogram increase in whole body fat, despite having a normal BMI. The study noted that the level of physical activity was lower in women with higher amounts of body fat that further suggested the necessity of physical activity not only for the overweight people but also in those who are not obese. Extra fat on the body may pose a lot many health hazards, also including breast cancer. Here's how you can cut down on the excess fat. Eggs are filling mainly because they contain high protein content which keeps your tummy fuller for longer. They are also rich in B6, B12, A, D, E and K, folate, choline, lutein, calcium and iron. These nutrients help keep you healthy and fit. Nuts are packed with omega-3 fatty acids that are heart healthy and contribute to giving a boost to the metabolism process to burn excess fat. They are super filling and save up on many calories. Coconut oil contains the medium chain fatty acids that are healthy saturated fats that actually help you lose weight. So include more coconut oil in your daily diet. Fish and most other seafood is a powerhouse of weight loss boosting omega-3 EFAs. So add more seafood in your diet. Apart from the eating bit, you must also engage in at least 30 minutes of physical activity in order to lose weight.